You will love this home with it's ultimate man cave! 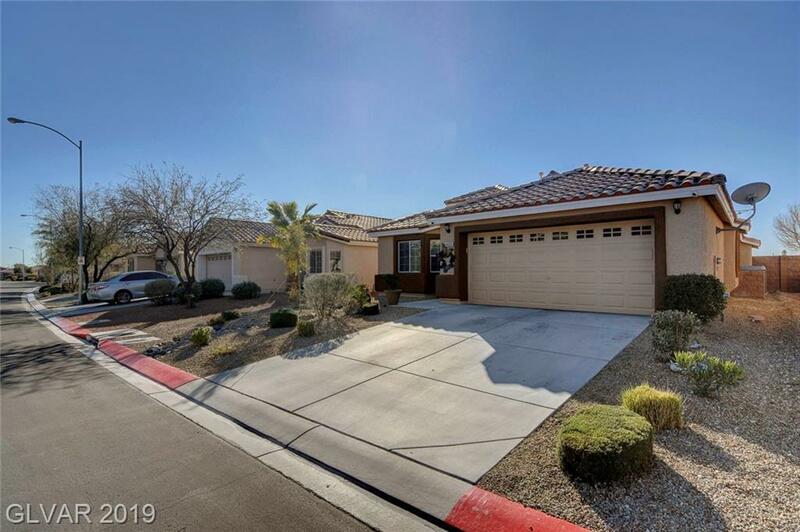 Charming home in an all single story community has a great floorplan w/ fireplace, 3 bedrooms, a fabulous craft room (could also be an office, a bedroom, etc.) & a garage for all your hobbies/projects -w/ cabinets, counters, even built-in tool boxes! Ring Doorbell, security cameras, & Nest thermostat too! Gorgeous back yard w/ covered patio & no rear neighbors. All appliances included! Directions: From Decatur & 215, Go North; Turn Right (East) On Deer Springs; Right Into Cove At Aliante; Right On Meadowlark Wing; Left On Yellowwood Cove; Left On Valley Quail.